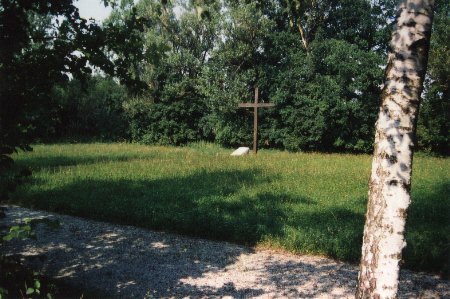 The cemetery of the POW camp Stalag VII A is situated south of Moosburg in Oberreit - close to the federal road B 11. The numbers of POWs originally buried there are not quite clear: 819 (or 746) Russians, 43 (60) Yugoslavs, 41 (43) French, 31 British, 22 (23) Italians, 17 Polish, 15 Belorussians, 11 Americans, 3 (6) Romanians, 1 Czech, 1 Greek. The vast majority of soldiers who died in the camp were Soviet Russians. 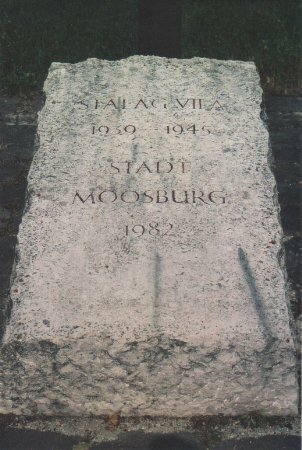 Moreover, hundreds of Russian soldiers were transported from Moosburg to the concentration camps of Dachau and Buchenwald and shot there. Last update 22 Nov 1999 by © Werner Schwarz (E-Mail) - All rights reserved!